An excellent police procedural in its own right, and a definitive novel in the Harry Bosch series. This is crime writing at its very best, says our bookseller Simon McDonald. Dark Sacred Night and the last handful of Michael Connelly’s novels — Two Kinds of Truth, The Late Show, and The Wrong Side of Goodbye — were clearly influenced by the superb Bosch television series. Which is not the derisive comment you might think it is; far from it, in fact. As necessitated by the medium, every season of the Bosch TV series merges various plot elements from two or three of Connelly’s books into one cohesive narrative; Bosch might be working more than one case, for example, and these two plots twist around each other like the double helix of a DNA strand. Connelly has adopted this technique with his last few books to great effect, and has ensured the recent Bosch novels, and the first Renée Ballard thriller The Late Show have felt very different to his earlier output. As exemplified by Dark Sacred Night, Connelly’s work is tauter — leaner and meaner — than it ever has been. And it’s great. It’s not that he’s reinvented his style or storytelling devices; rather, he’s just completely reinvigorated his writing. And it takes a very good writer indeed to modify a formula that’s garnered critical acclaim and landed places on bestseller lists worldwide for so long. When Connelly introduced Renée Ballard in The Late Show, most readers would’ve assumed it was only a matter of time before she crossed paths with Harry Bosch. Few would’ve thought we’d witness that so soon. When Ballard meets Bosch, late one night during another graveyard shift, he’s rifling through an old filing cabinet, desperate for information on a cold case that’s sunk its teeth into him. Bosch is investigating the death of fifteen-year-old Daisy Clayton, a runaway who was brutally murdered almost a decade ago, whose mother he met — as did readers — in Two Kinds of Truth. Ballard is initially suspicious of Bosch, but it quickly becomes clear: they’re both driven by the same desire for justice. So, still not entirely bonded, they agree to assist each other: Bosch on the outside, Ballard on the inside. Meanwhile, Ballard is repeatedly distracted from the Clayton case by various callouts on her midnight shift. Most of these serve as momentary distractions, offering cool insights and anecdotes into Ballard’s history, and life in the LAPD. Bosch, too, can’t give the case his all: still attached in a part-time capacity to the San Fernadno Police Department, he is ready to serve a warrant on his prime suspect in the murder of veteran gang member Cristobel Vega. But things immediately go south, and Bosch finds himself facing the wrath of the Varrio San Fer 13, one of the oldest and deadliest gangs in the San Fernando Valley. Dark Sacred Night is Connelly in fine form. It’s very rare when the thirty-second book by an author leaves you desperate for the next one, but Connelly delivers every time. The first Ballard & Bosch novel is a multilayered and multifaceted mystery, chock-full of moments of heart-pounding suspense, and a conclusion that rocks Bosch’s world to its core. 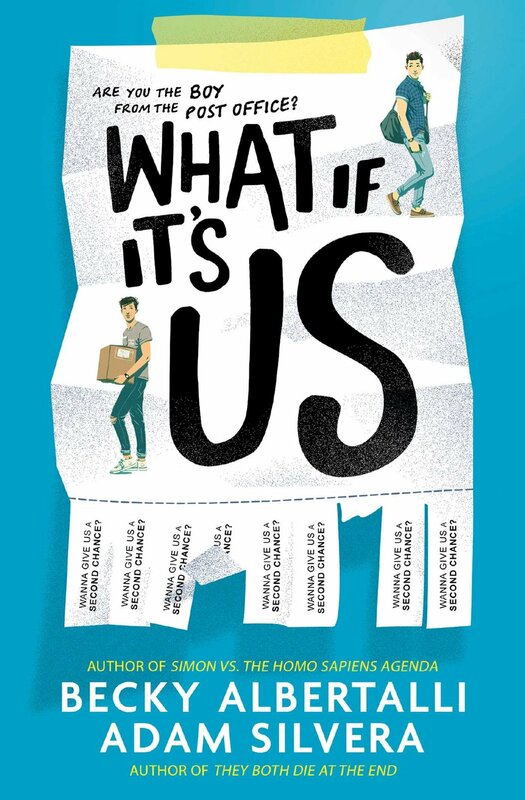 Hours after I’ve put the book down, I’m still recovering from its reverberations. Michael Connelly — the proven master of the genre — continues to astound. Set in the unforgiving landscape of the Queensland outback, The Lost Man is a cracking page-turner that explores the psychology of abuse and the desire for retribution. Simon McDonald reviews Jane Harper’s stunning new crime novel. The Dry was a transcendent work for Australian crime fiction, ushering in a new Golden Age for the genre. Its sequel, Force of Nature, vindicated those early accolades, proving that Jane Harper has the ability to produce relentlessly fast-paced and beautifully structured mysteries that fully exploit the harsh Australian landscape. Delightfully, The Lost Man amply fulfils the promise of its predecessors and sets the bar even higher. The intimate betrayals that pockmark The Lost Man are nothing short of devastating. Anyone who read The Dry will recall its scintillating opening salvo: blowflies buzzing around the corpses of the Hadler family. It hooked you immediately; compelled you to turn its pages, to understand how this moment came to pass. The beginning of The Lost Man is just as gripping — Cameron Bright, baking under the Queensland desert sun, crawling desperately to catch the shadow cast from the stockman’s grave, a long-standing manmade landmark; the only one for miles. When we next see Cameron, he’s dead; stared down upon by his two brothers, whose anguish over his death is overridden by a desire to know how this happened. Men and women in their line of work are survivors: they have to be. Conditioned to the tempestuous weather, accustomed to the isolation, it seems unlikely Cameron found himself alone in the middle of nowhere by accident. So was it suicide? Or did something — or someone — lead Cameron to the stockman’s grave? Jane Harper is brilliant at pulling away the surface of her characters to expose their deeper — and often ugly — layers. In scrutinising the weeks and months prior to Cameron’s death, each member of the Bright family are forced examine the underlying toxicity that exists between them, and confront their own demons. The visceral fears and hatreds lurking below the surface of every member of the Bright family are adroitly exposed, and demonstrate that anyone has the capacity to be a monster. Vintage Rankin — top-notch police procedure merged with deft characterisation. Simon McDonald reviews the new John Rebus thriller. Having conjured twenty-two novels worth of exploits for the irascible and incomparable John Rebus over the last thirty years, it would seem entirely reasonable for Ian Rankin to begin repeating himself, or for his series to start running out of steam. Indeed, even Rebus references the “managed decline” of his post-retirement life in In a House of Lies, and his treatment of the Saab that’s been as much an ever-present in these books as Rebus himself. But even as Rebus gradually succumbs to a lifetime of bad habits — not just the drinking and smoking, but integrating himself into trouble, and his recurrent dalliances with vigilantism — Rankin’s novels go from strength to strength as he shows a greater willingness to dive deeper into the moral ambiguity of his protagonist. Rebus was always an anti-hero — hard as nails, roguish; but always convinced of his own moral code — but as he faces us to his own morality, with the burden of empty years spent ruminating on his actions, Rankin paints a powerful portrait of a man lacking the assuredness that defined him. Rebus’s ‘old school’ methods are thrust back into the spotlight when the skeletal remains of a private investigator are discovered more than a decade after the man’s disappearance — in a location that was, apparently, searched during the initial investigation. Detective Inspector Siobhan Clarke is part of the new inquiry, tasked with combing through the mistakes of the original case; while Malcolm Fox, formerly of Professional Standards, has the job of specifically looking for misdemeanours, of which there were evidently many — several of which can be tied back to Rebus’s nemesis, the wily, power-hungry crime boss, ‘Big Ger’ Cafferty. Rankin’s insight into character and motive is as keen as ever. He deftly cuts between his three primary leads as they follow wonderfully woven, unspooled threads that eventually tie together. 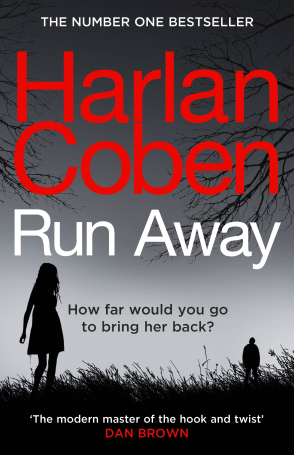 As always, the resolution is incredibly satisfying, but is almost besides the point: we’re here for the characters, especially Rebus, whose wit remains as razor-sharp as ever. 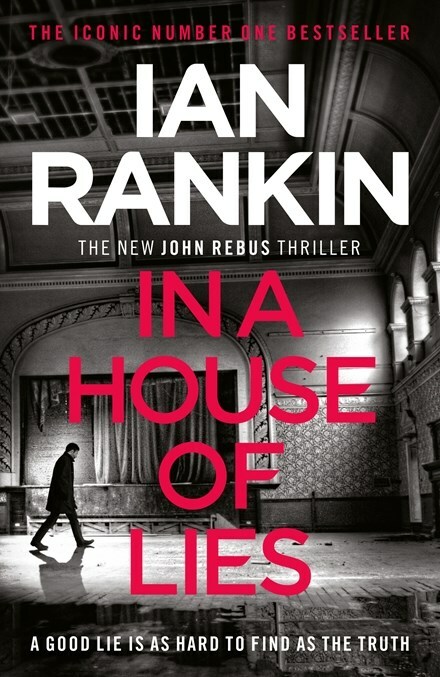 In A House of Lies encapsulates precisely why Rankin is the grandmaster of the genre, and why Rebus remains one of its most iconic and complex creations. Compelling and unnerving in equal measure, A Ladder to the Sky probes the toxicity inherent in naked ambition and the depravity one man will embrace in order to achieve literary acclaim. Disturbing yet seductive, John Boyne has crafted one of the best books of 2018, says our bookseller Simon McDonald. John Boyne’s new novel begins with successful novelist Erich Ackermann describing his beguiling relationship with the handsome (but enigmatic) young would-be writer named Maurice Swift, who over the course of many months, teases information from Ackermann about his early life in Nazi Germany, and the awful secret he has kept hidden for his entire life. These revelations are fictionalised — though just barely — in Swift’s debut novel, Two Germans, which receives critical acclaim, and much publicity when he willingly exposes the basis for his book, which effectively destroy’s Ackermann’s career, making him a pariah, and sends him into hiding until the day he dies. A Ladder to the Sky then flashes forward, various periods of time narrated by different voices (including Swift’s wife Edith, and in the final section of the book, Maurice himself). We quickly learn that, although Swift is a gifted writer — a concocter of great sentences — he has no imagination for fiction. His prose lacks heart, and quite simply, he is unable to conjure a single original idea. This shortcoming infuriates Swift, who is determined to win the Prize, and become a literary legend, no matter what it takes. And Swift is willing to do anything to accomplish his goal, including two particularly heinous acts, which will chill readers to the bone. Indeed, as the novel continues, Boyne excruciatingly dangles the possibility that Swift will never get his comeuppance; that this man, warped and demented by toxic ambition, will achieve everything he has ever hoped for while those he uses as mere stepping stones to his path of greatness are left so suffer. Some fade to obscurity; others suffer far worse fates. And the ending, when it comes, is absolutely perfect. A Ladder to the Sky haunted me for days after I’d finished it. As much as I loathed the amoral Maurice Swift, a part of me couldn’t help but admire his sheer cunning and determination to succeed regardless of his failings. There were moments — fleeting as they were — when I understood (but never respected or agreed with, just to be clear!) his arguments for appropriating other people’s stories; and Boyne’s insights into literary life make for enthralling reading, peppering an otherwise dark tale with moments of genuine levity. In a year of some tremendous fiction — Sally Rooney’s Normal People, Anne Tyler’s Clock Dance, and Tayari Jones’s An American Marriage, to name just three of the greats — John Boyne’s A Ladder to the Sky deserves a place among the very best books of 2018. It might even be my favourite.